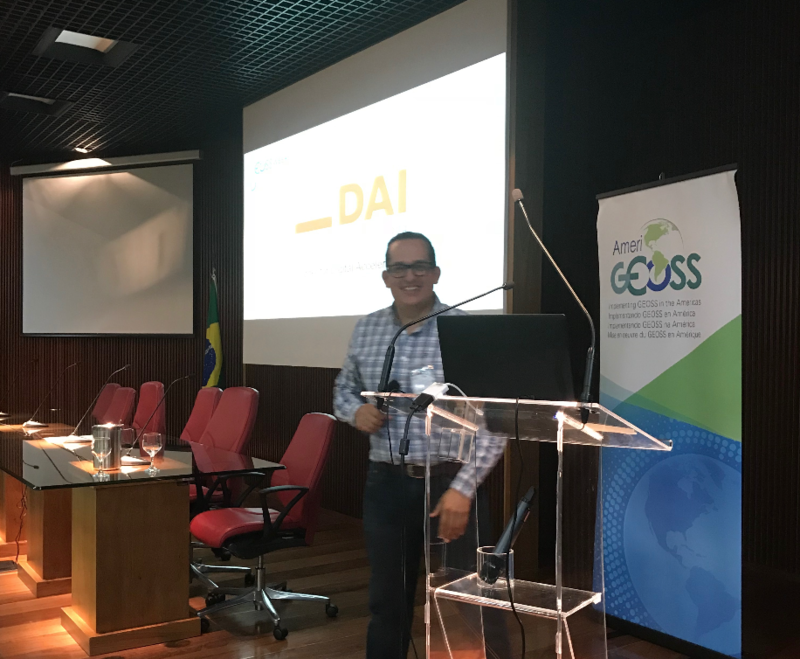 We met at the INPE (Brazilian Institute for the Space Research) and the AmeriGEOSS team presented its Datahub. 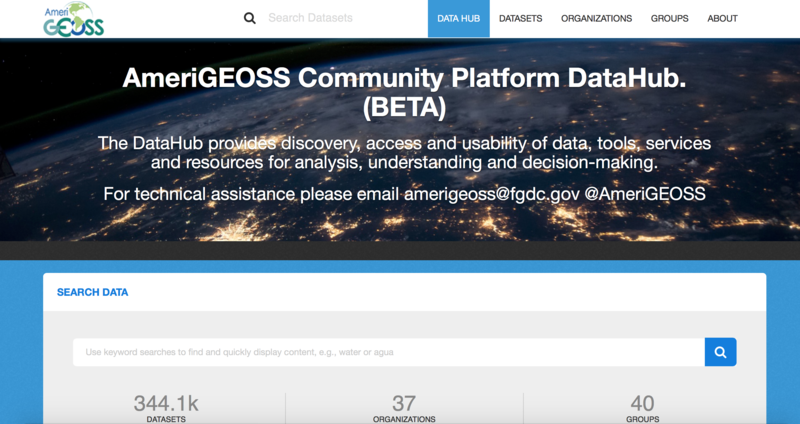 The group found that the amount of data that AmeriGEOSS members produce was massive and required an open storage and distribution tool. It chose the Comprehensive Knowledge Archive Network (CKAN), a web-based, open-source management system for storing and distributing open data. Being initially inspired by the package management capabilities of Debian Linux, CKAN has developed into a powerful data catalogue system that is mainly used by public institutions that share their data with the general public. EcoExplorer: A web application that allows you to explore the data underlying the World Ecophysiography Map. Sentinel Explorer: An application demonstrating analysis of Sentinel-2, 10m Multispectral, Multitemporal, 13-band images with visual renderings and indices. The imagery is sourced from Sentinel-2. This application is in beta release. Sentinel 2 (NDVI): Sentinel-2, 10m Multispectral, Multitemporal, 13-band images with visual renderings and indices. This imagery is sourced from the Sentinel-2 and is updated daily. Imagery—Landsat8: The most recent imagery from Landsat 8. This band combination (6-5-2) is good for agricultural studies, as healthy vegetation appears bright green. The Datahub has more than 344,000 datasets. Most of this information can be used directly in the navigator tool or downloaded for other purposes, and the best… is free. The AmeriGEOSS technology allow us to integrate information and data from multiple sources and distribute it via different channels (data visualization, artificial intelligence, apps, maps, alerts, etc.). The knowledge management and learning process represents a challenge to those who manage these platforms. Better user engagement, and real user benefits, will only happen when we meet user requirements. AmeriGEOSS is heading in the right direction, but more efforts and interactions with national and regional organizations must happen for humans to fully reap the technology’s benefits.